Staying at the Ammarin Bedouin Camp within the Petra Archaeological Reserve helps the traveler enter into the atmosphere of ancient Petra. How jarring it is, then, when they pull up to the front gate and feel like they’ve walked up to the Disneyland gift shops. My preferred way to enter Petra is along the back route, led by a local Bedouin guide named Musa (Arabic for Moses). 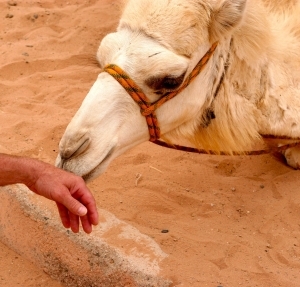 When I first met Musa, Abu Ahmed from the camp and myself picked him up on the side of the road. I thought we were giving him a lift to his home. 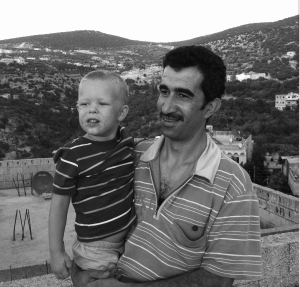 I squeezed in closer to Abu Ahmed and opened the pickup door for him. As he sat down, he looked at me with a huge grin. I noticed his blind eye. Though I later found out he is sixty-one years old, I would have guessed him older. He couldn’t have weighed more than 100 pounds. He was wearing open-toed sandals. “This is your hiking guide,” Abu Ahmed said. I was excited for our guests to talk with this man and get to know him, but I was a little nervous about hiking with him. Could he make it on a two hour hike in the desert mountains? My worries were quickly dashed. As we started off on the hike, he folded his dishdasha around his waist, and our group of young twenty-somethings had to quicken the pace to keep up. He brought no water, and I never saw him break a sweat. He was an excellent guide, giving us breaks when we tired. He was very attentive to our needs, but he seemed to have none. 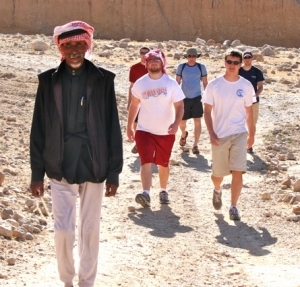 He led us on the trail up the mountain to the Monastery, Petra’s largest monument. Positioned at the far end of the city of Petra, it takes guests who have entered the main gate all morning to reach the Monastery. When we arrived, there were no other visitors. Not only were we able to escape the tourist route, we were led into Petra by a sandal wearing man named Moses. 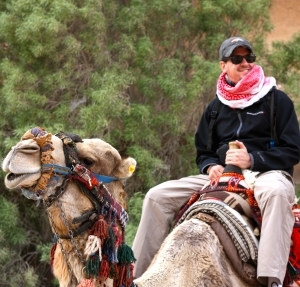 Walking with him gave us a look into the life of a contemporary Bedouin, and connected us to the people that share their land with this world wonder. Since then, we have hiked many more hours together. I continue to be impressed with Moses. I was recently invited to a wedding feast for his son, and was treated like family. He has become a dear friend, and I look forward to the next time I can walk by his side. 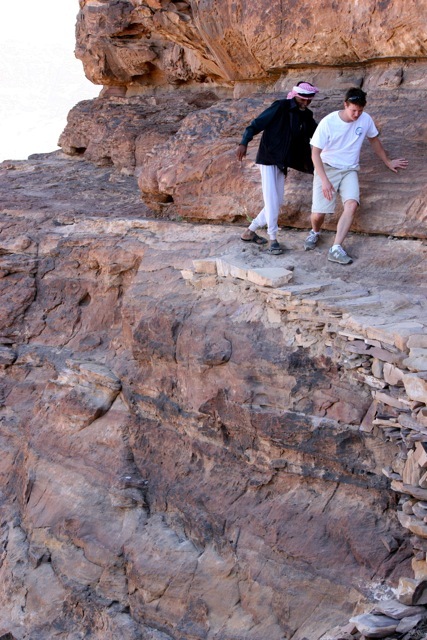 Would you like to hike with Moses to Petra? Check out our trips page here.